I, Zombie Slot Machine >i Zombie Slot machine Online! It is said that zombies were pretty active in the ancient China. The Zombies eat brain and the game, Mighty warriors, battled against the zombies for long time. In this new game you can help to get rid of zombies and get rewards when you achieve your goal. In order or trigger free features of the game you need to collect Mirror symbols. The symbol of I, Zombie can be taken for all other symbols. One thing you need to keep in mind is that when you trigger Free feature with a lot of Scatters, your win will be doubled and tripled. This game will give you a chance to play real slots online for real money, so what are you waiting for. There are many symbols in this game. The Mirror symbol act as Scatter which triggers the features that are free. The symbol of I, Zombie act as Wild and it substitutes for any other regular symbols. On the game cover there are 3 warriors and it can mean that they appear as high worth symbols as well. Other symbols are elderly Sensei- Blue Female Warrior holding knives and the Red Sorceress, who predicted to lead the group. Moreover, it is expected that some zombies will also be on the reel. Since the game is not released yet, all the rules are not known. However, one thing is for sure that the players do not need to be professional at hunting zombies to play the game. The latest release has 5 reels with 3 rows and it also offers 25 paylines that are adjustable, that pay from left towards right, and starts from the reel at leftmost. You need to have the minimum of three similar symbols on the active payline in order to win cash. When a Scatter Mirror or I, Zombie Wild comes on a reel, they will trigger two additional Wilds to come on the same reel. Hence, the players can get a Wild reel for a big win. In order to trigger the feature that are free, you must land at least three Mirrors on the reels. During the triggering spin for each I, Zombie Wild and Mirror that appear, gamers will get two free spins. In case four Mirror Scatters is triggering the feature, then all rewards are doubled. Likewise, if five Scatters trigger free spins, all rewards will be tripled. With every Wild and Mirror that appears at that time will bring more Wilds in the reels. 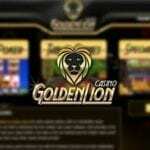 It is good news for players that free spins can be retriggered. There is not much information about the payouts. 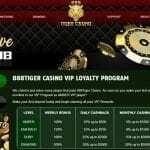 What is known is that the highest possible payout will not increase 7,500 times your bet per line. It is predicted that the best payouts will be provided by the reel Games feature. This game is not only playable to desktops but also in smart phones. It does not matter whether you are using a phone or desktop your experience of the games will be same because the game quality is very good. The pros are that It has Added Wilds in game and free spins. Moreover, it has free spins that have double and triple wins and this game can be played on nay devices. This game has a pretty scary theme. This game gives a feeling that it will not offer extraordinary features to the players. It has a very basic theme with only on additional feature. These things might not predict the success of the game.